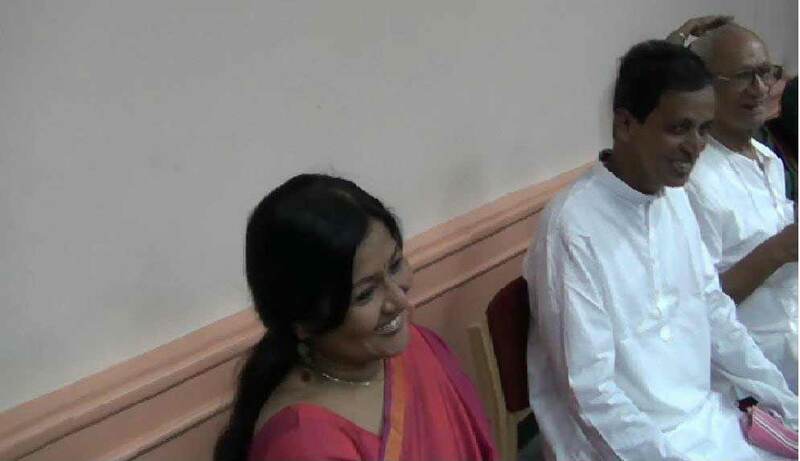 Short Video clippings from Book Release Function. 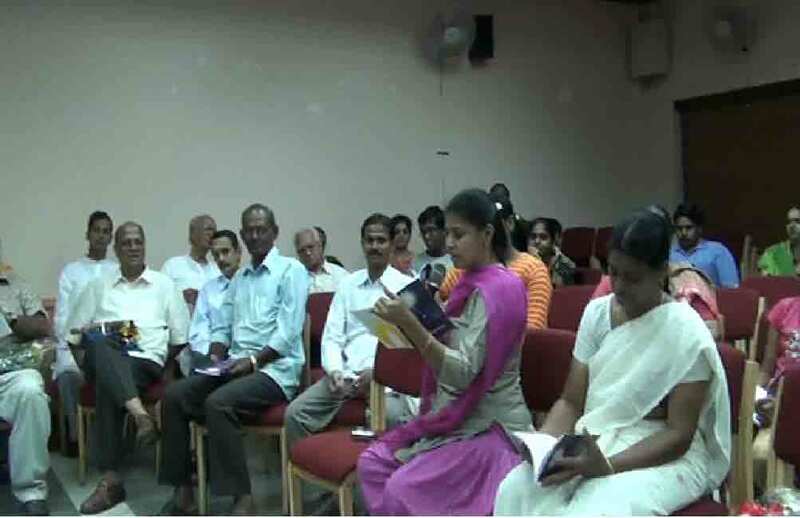 The book release function of 'The Journey' was held at .......,T.Nagar, Chennai. 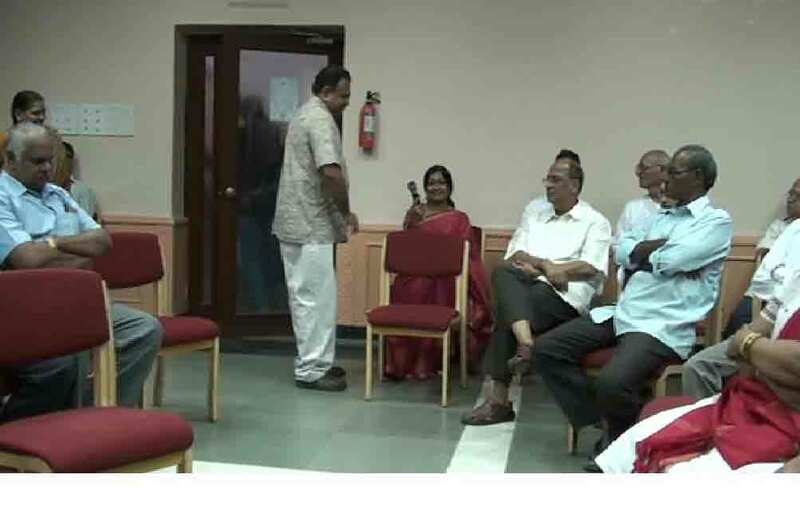 This video clipping covers the gathering of disciples of Doctor. Thirumathi Shobana Ravi, disciple of our Master Doctor, is giving the inagural intoductory speach in a casual manner. It is a close-knit group of disciples gathered to participate in this important function.Go ahead.....view the clipping. 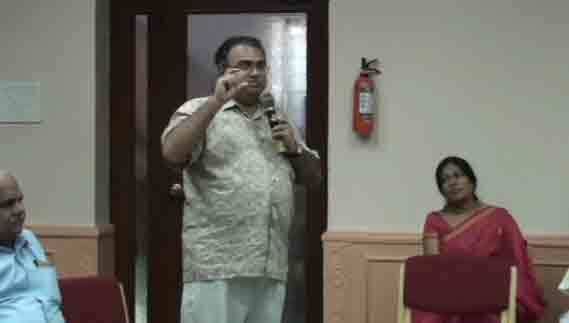 Mr.Mahesh 'Matt'Krishnan, a disciple of our Master currently living in US had come down to India. He planned to meet all his brethern in a get-together function. So he took the opportunity to combine both book release and get-together functions and made it a big success. In this clipping, he is addressing the gathering. 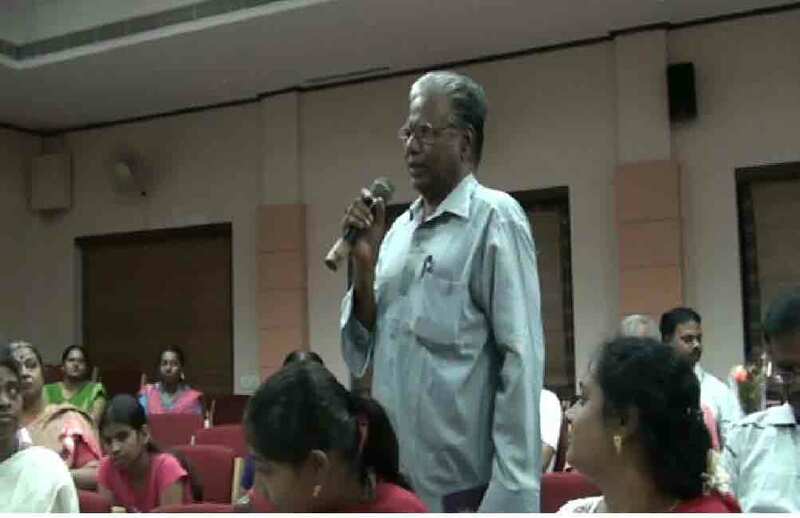 In this Video clipping, Mr.Ravi disciple of Doctor and author of several books including 'Verses of Visdom'which is available for download from our Publications page, is narrating his views about books in general and 'Pats; and his book 'The Journey' in particular. 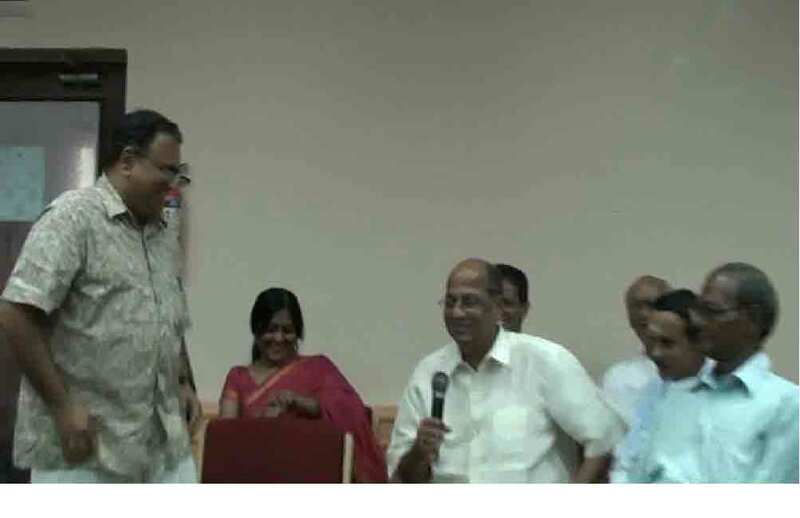 Smt Shobana Ravi presenting a memento to Mr. Ananthasubramaniam in recognision of untiring work and service to Anandjothi. Kesavan, disciple of Doctor is speaking to the gathering about Pats and emphasizing the need to write and record spritual exprences of all disciples. 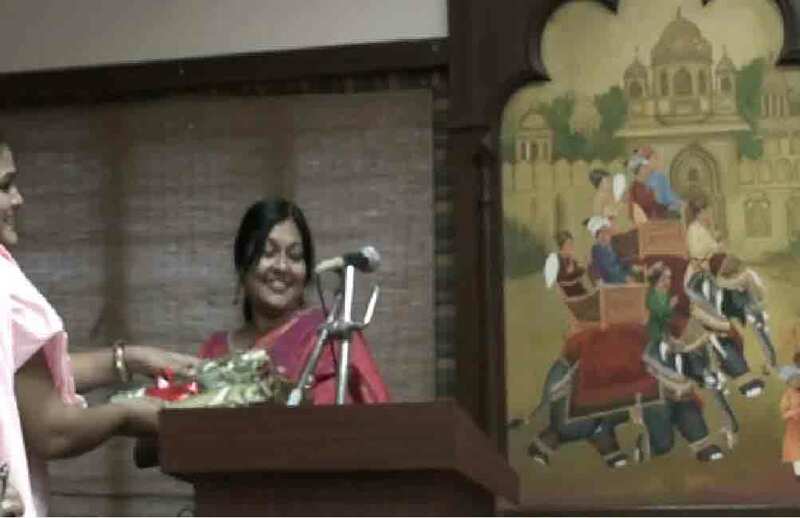 Mrs Jayashree Ravi,Doctor's disciple is reading out a page from Book 'The Journey'.